Christmas Dinner Meat from Great British Meat Co.
I’ll be honest, I’ve never been much of a traditional turkey dinner kinda gal. My family tend to enjoy something a bit different on Christmas Day, or even just classics like a MASSIVE rib of beef cooked slow and low for hours with lashings of red wine. So yeah, when Great British Meat Co. got in touch and challenged me to make an early-Christmas Dinner to promote their Christmas meat ranges, I was just a little bit “meh” about the idea that it was to be turkey. 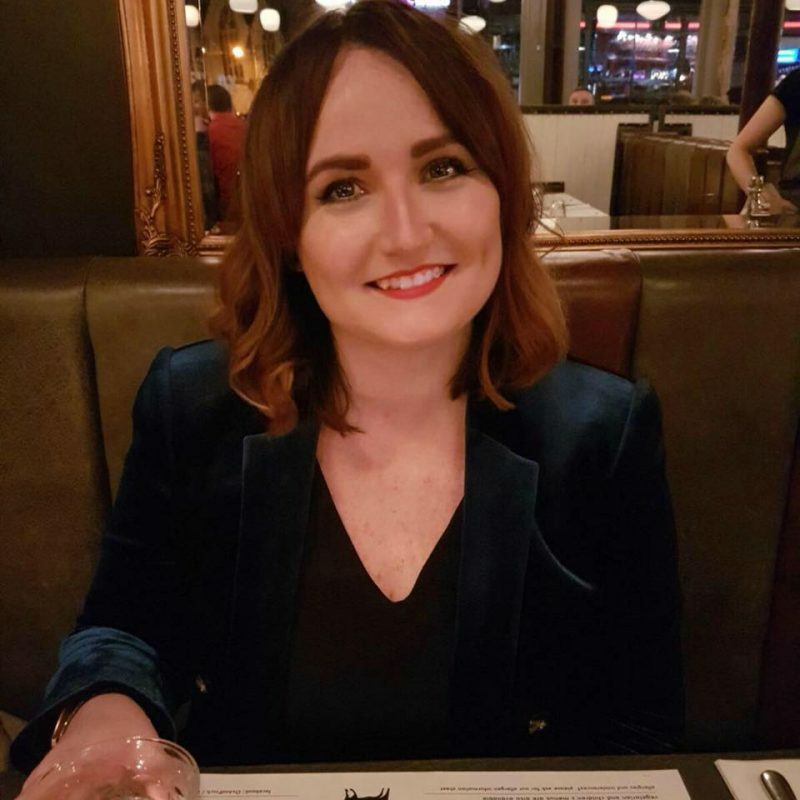 There’s also the fact that Christmas dinner has always been my Mam’s job and therefore, I’m a turkey-cooking amateur and I’d had no desire to learn. That said, I love a challenge and this particular one involved eating, so naturally I said yes and received a canny order of meaty delicacies the following week. What I really liked about Great British Meat Co.’s request, is that they’re really trying to encourage families that eating fresh on Christmas Day doesn’t have to cost the Earth and it’s far better than pre-packaged, frozen goods that tend to be loaded with preservatives and general nastiness. Then of course, there’s those (like me!) who think cooking turkey will be a total chore and something else would be more convenient, but again, Great British Meat Co. are determined to prove that this can be done easily – and more importantly, well – by anyone attempting it. They’re three blokes who are passionate about meat, two of them being third-generation butchers with fantastic contacts across the industry, ensuring they get the best meat to offer their customers. They’re approved by the Guild of Fine Food, as well as providing top chefs and restaurants with their produce since 1953. Their site offers users a convenient way to buy fresh meat from British suppliers, ergo supporting British farmers and local businesses. And that’s how it should be. So my package arrived and consisted of a 2KG Turkey Breast Joint (£20 AND no bones! 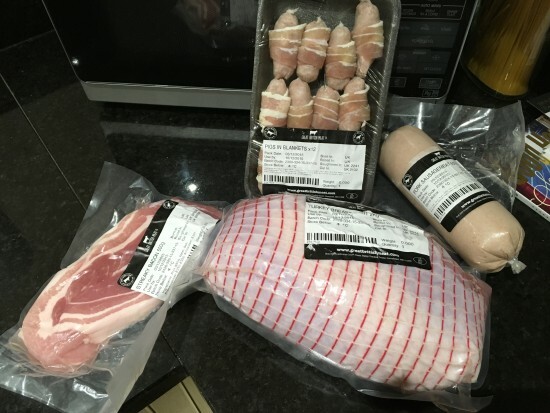 ), 400g fresh sausage meat for stuffing (£3.00), some of my absolute FAVOURITE, Pigs in Blankets x12 (£3.75) and Smoked Streaky Bacon for loading onto the turkey joint (500g of it for £3.80) and a friendly note to basically wish me luck. I sure needed it! 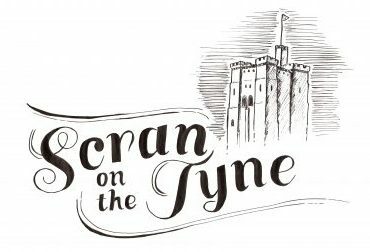 We kept everything chilled until the Sunday when we took the trip up to Alnwick to use my Mother’s massive ovens and feed the whole family. I coated the turkey (in its net!) in herb-infused butter and added a generous helping of salt and freshly-milled black pepper. 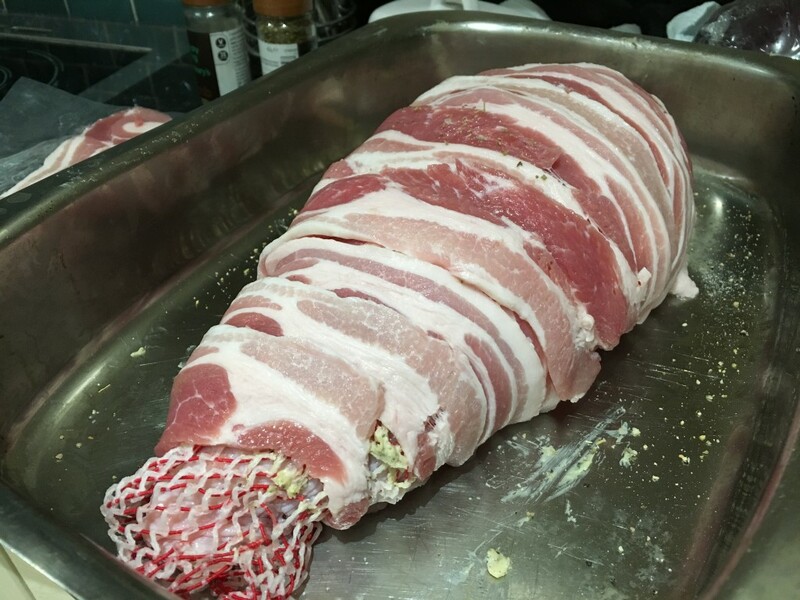 Once covered, I added the smoked bacon all over the turkey and put all of this in the oven on 180 degrees with a loose foil covering the tray. For turkey breast joints, you should calculate your cooking time at around 50mins per kg, but it really all depends on your oven so you should keep an eye on progress and check that juices run clear. All in all, the turkey was in the oven for just over an hour and a half, followed by around 25mins to rest. Around 3/4 of the way into cooking, I removed the bacon from the top and put this into a small roasting tin (this was to be made crispy and added to the sprouts a little later!) to crisp. This is a great way of using everything and ensuring you get the best value from your Christmas meat investments. In my opinion, there’ll never be enough roasties on my plate and these were no exception. There were 7 of us eating so I did around 3-4 each, which was more than generous given the amount of meat and veg on offer. After boiling, these were added to a roasting tray that I’d heated up some goose fat on a high heat (say, 240 degrees) on and tossed around to cover each potato completely. It was then time for seasoning; salt and pepper of course, along with fresh thyme and sage plus a sprinkling of garlic salt. For me, the more seasoning the better as you lose quite a bit when turning the potatoes around throughout the cooking process. 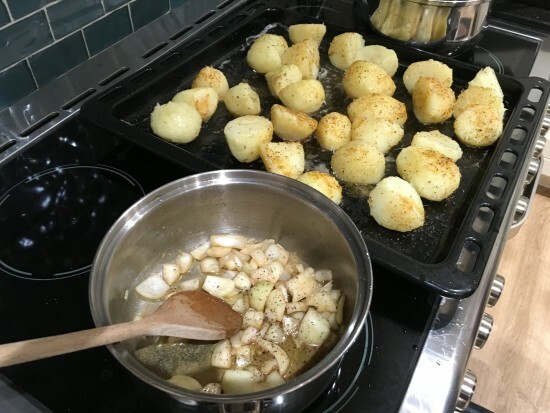 The potatoes were in the oven for around 50 mins and I turned them frequently, adding more salt and pepper where needed. You can’t have a Christmas dinner without sprouts (it’s the law of Santa himself), so they were on the agenda, cooked in butter and generously seasoned. As mentioned, I also added the bacon from the turkey in tiny pieces which gave them all a delightful crunch. To ensure you don’t have the dreaded soggy sprouts, I recommend blanching in hot water until al dente then adding to a pan with melted butter, seasoning and adding the bacon before serving. I’m positive this will make even the biggest sprout-hater enjoy them! I also did red cabbage cooked in balsamic vinegar, with a bit of red onion added for good measure. For this, it’s just a case of chopping and chucking into the pan, adding balsamic and olive oil throughout where needed (common sense must prevail here!) and of course, a bit of salt and pepper. This is a zesty way to serve red cabbage and keeps it nice and crunchy. Lastly, I did some honey-roasted parsnips, which were so simple to do. Simply a case of lining up in a baking tray and adding a drizzle of olive oil and lashings of honey. Again, you need to babysit your parsnips a little and turn them over, adding more honey depending on how glazed you like them to be. I like to mix my honey with a dash of Worcestershire Sauce to give it a spicy edge, which also thins the honey a little. 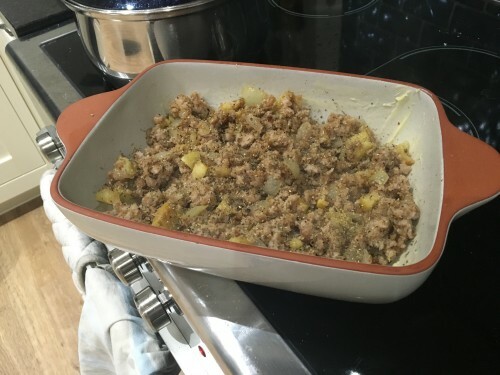 Never in my life have I made stuffing from scratch, but I figured that for the nature of this post, I’d give it a go. I started by cooking some diced onion in a pan, before adding diced fresh apple (I just used a Braeburn), followed by the sausage meat and some breadcrumbs (I didn’t have any in so did some wholegrain toast and whizzed it up in the blender!) to thicken the whole thing. I chucked in plenty of sage, a couple of crushed cloves of garlic and squeezed the juice of a whole lemon over it. This was then added to a baking tray and put in the oven for around 20-25 mins to roast and brown off and set. I was honestly SO impressed with the result and it was so easy to do. Far better than a pre-packed stuffing, for sure! I am obsessed with gravy. As with roasties, there’s never enough gravy on my plate and as such, I did loads. This was a reduction of the turkey meat juices (added throughout the cooking process), lashings of red wine, fresh herbs and, I’ll be honest, a bit of Bisto to thicken. I then packed in plenty of herbs and cooked on the hob on a low heat for around 25 mins, stirring frequently. The result was a delicious gravy that complemented the meat, roasties and veg PERFECTLY. And voila! Here’s the result! 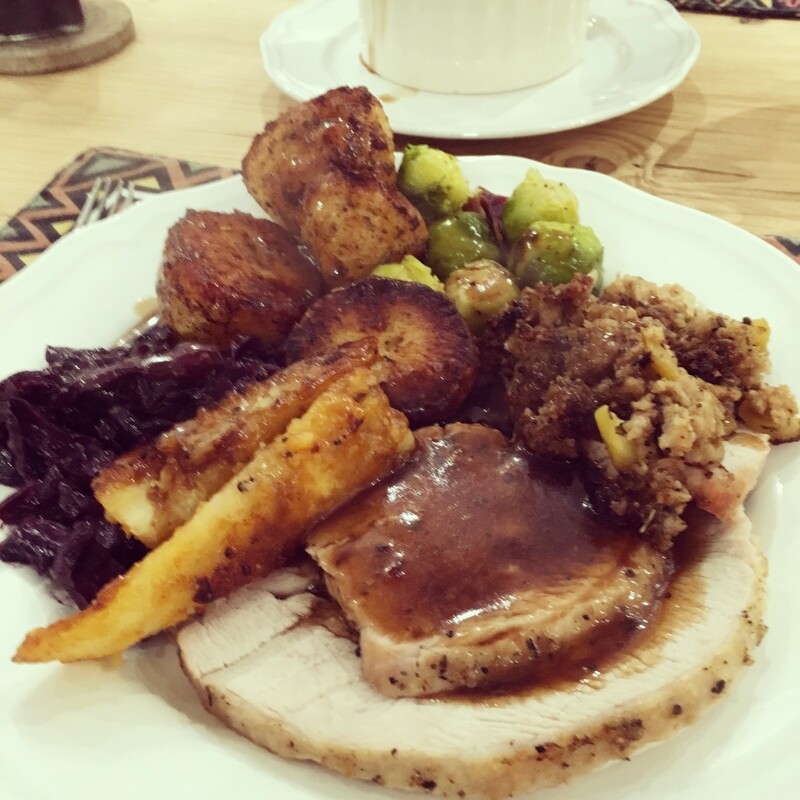 I can honestly say that I thoroughly enjoyed making this Christmas dinner from scratch and am so grateful to Great British Meat Co. for presenting me with the challenge! 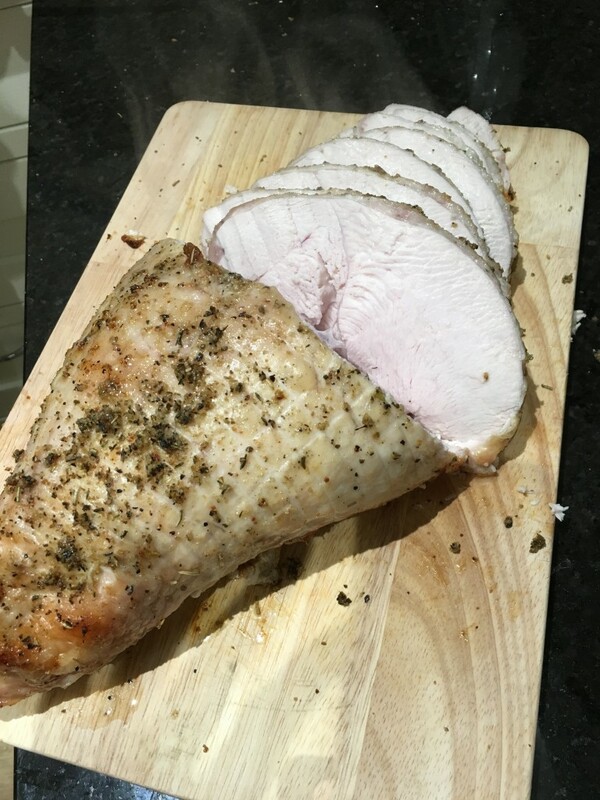 The turkey breast joint was moist and succulent and super-fresh, which is no doubt thanks to their commitment to working with the best farms to get the freshest British produce. When I worked out the cost-per-head of my Christmas dinner, it totalled only £7 per head (which included wine for the gravy! ), which is far more cost-effective and environmentally friendly than a bunch of pre-packaged, processed food – not that I’d ever go for that. 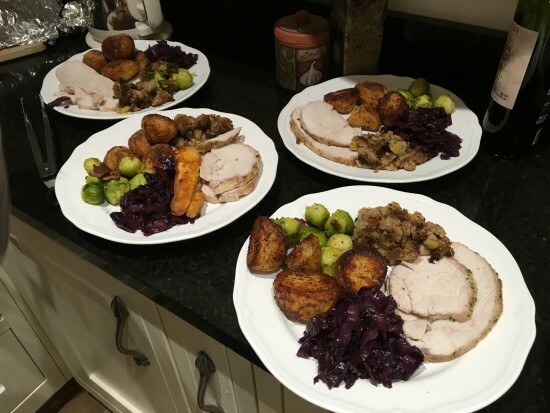 It’s also worth mentioning that we had pretty generous portions, and actually the whole thing could have fed 8-10 people, if I’d chucked in a few extra roasties to bulk things out. If you were a little unsure on how far the turkey would go, they have a 2.5kg joint for £25 and let’s face it, any leftovers can be put to good use on the evening or following day with a dollop of cranberry sauce and some of that stuffing. I for one will be investing in one of these fantastic Christmas dinner packs and to be honest, the deliciousness of the turkey has actually converted me. 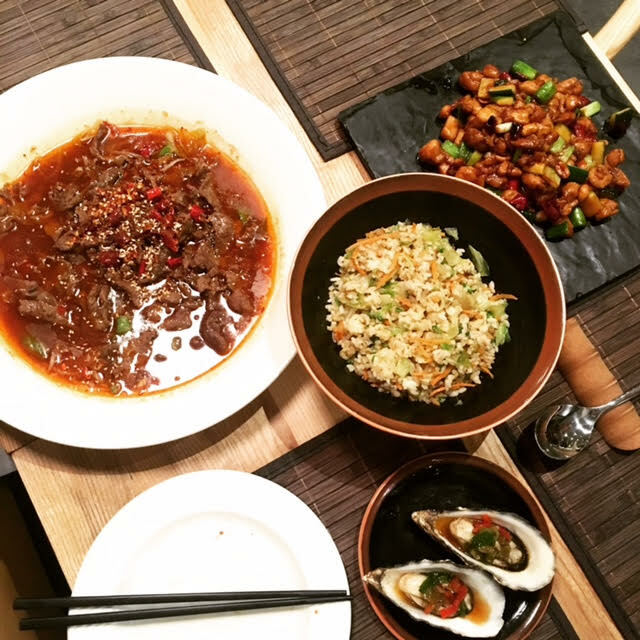 No more spending a fortune on beef ribs or pheasants – this is just as good and a fraction of the price. For anyone looking to order for Christmas, order ASAP – before 9am Friday 18th Dec and receive your meat on the 22nd or 23rd of December. Your order will be delivered direct from Great British Meat Co. in food-grade temperature controlled packaging to ensure optimum freshness. For enquiries, you can contact Great British Meat Co. directly on 0191 448 9301. Big thanks to the guys for providing us with the range of delicious meats, I had a ball preparing this dinner for the family and I’m sure anyone else attempting it for the first time will, too.